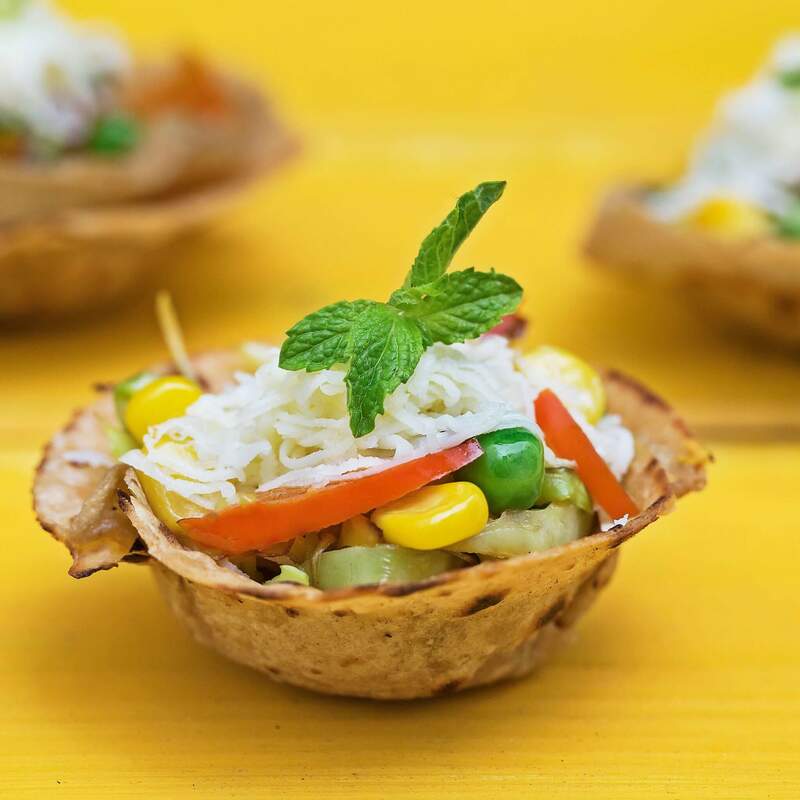 We’re pretty sure you haven’t tried anything like the Roti Taco Bowl before. This is the perfect party treat that everyone will love. Try it today with Royal Sharbati Atta! Mix Royal® Sharbati Atta with water and salt; knead into dough. Set aside for a few minutes. Roll out 4-5 rotis with the dough, roast on a skillet with oil and let cool. When the rotis are crisp, take a bowl and put the rotis on it, pressing them down one by one to form a bowl shape. Let it cool. For the filling, stir-fry sliced veggies with oil, garlic, onion, garam masala and garlic. Add paneer. Season with salt and pepper. Fill the roti, garnish with grated cheese and serve.